George Zimmerman was detained by Florida Police involving an altercation with his wife, father in law, and yes a gun. I wonder how he will avoid jail time this time. And not to be outdone by the lunacy in Florida, Iowa is issuing gun perments to blind people. Seriously. Finally, this is the 12th anniversary of 9/11. Will we learn the lessons of that day or will we continue to make the same mistakes that we made afterwards? And have the Conservatives gone off the reservation with their response to Obama’s use of force and how it successfully caused Putin to act with their ally Syria. All that, headlines, tweet of the week, words of redneck wisdome and more on Liberal Dan Radio: Talk From The Left, That’s Right. This is the 8th anniversary of Hurricane Katrina making landfall in Louisiana. What has happened since then. Are we better off? How are we still being failed? What needs to improve? The Obama Administration is currently weighing our options after evidence points to Syria using illegal chemical weapons against the rebels. Do we need to get involved? Is this our problem or the worlds problem? Should we be more patient? Will anything this President does be considered correct by Republicans? Are there other reasons why we care about what is going on in Syria while ignoring other massacres around the world (i.e. Africa)? Finally, this week marks the 50th anniversary of the Martin Luther King speech at the march on Washington. Conservatives are complaining that more conservative folks were not invited. Republicans like to say that Dr. Martin Luther King Jr. was a Republican himself. I will go into why the Conservatives and the Republican Party needs to clean up some of their behavior before complaining about a lack of inclusion in the festivities. 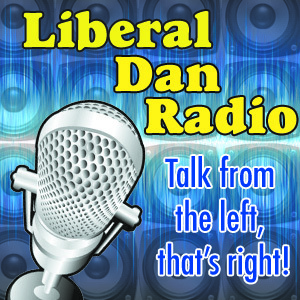 Those topics, headlines, tweet of the week and more, tonight on Liberal Dan Radio: Talk From The Left, That’s Right. Remember, the show is moving to Wednesdays starting next week. And remember, there are two more days left until the end of the Liberal Dan Radio Kickstarter. Great deals are there for potential advertisers. Listeners can also help for as little as $1. So act fast and help me expand Liberal Dan Radio.